Don't miss the latest happenings out of Timberline Lodge, including new lifts, terrain expansions, weather, photo galleries, infographics and current events skiers and mountain travelers should know about. Stay up-to-date on Timberline Lodge news and events by clicking on articles from the list below or page through to see coverage from the entire ski season. Wondering where to ski in summer? Four ski resorts across North America offer later than usual ski seasons that stretch beyond Memorial Day, sometimes to the 4th of July. Predicting snowfall is a dangerous game. We’ve compiled the top 10 ski resorts with the deepest average yearly snowfall across North America. Don't wait on winter to arrive in North America. These European ski resorts offer exceptional early-season ski and ride options. OnTheSnow's 17/18 snowfall summary shows which North American ski resorts received the most snow throughout the entire ski season. Diminishing base depths and warmer temps haven't slowed die-hard skiers and riders in search of the season's final turns. See photos and video from open U.S. ski areas here. 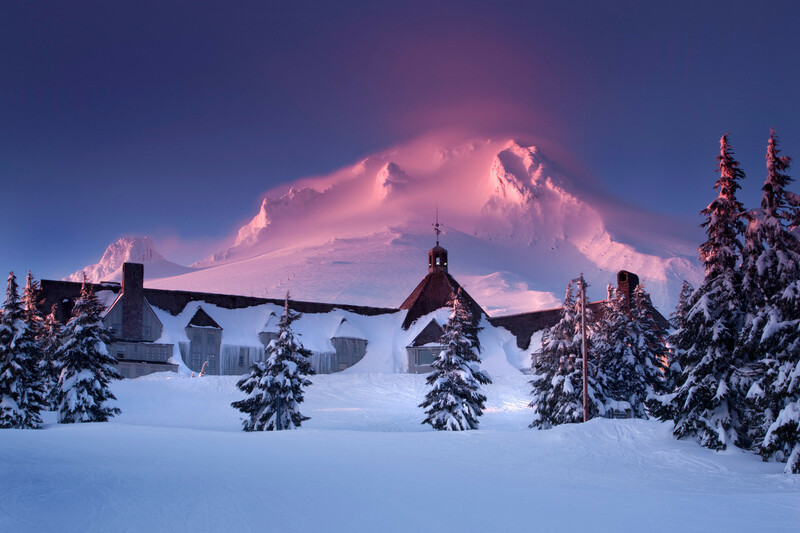 The Pacific Northwest is looking good heading into May with open resorts like Timberline Lodge scoring over a foot of fresh powder in the last week.